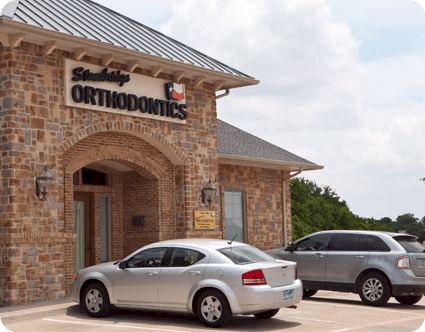 We are one of the select Orthodontists in Dallas that uses the SureSmile® System! You’ve probably heard from friends or family that wearing braces is a long-term commitment, taking more than two years on average. With SureSmile orthodontic treatment, getting braces isn’t what it used to be! You’ll get outstanding results in less time. With SureSmile, your doctor delivers the most precise orthodontic treatment available. The SureSmile braces are designed for you with advanced technology to move your teeth more accurately than ever before. After your SureSmile wire is inserted, you’ll be on your way to a beautiful, healthy smile sooner than you thought possible. Instead of the doctor bending an archwire by hand, a SureSmile wire is custom-shaped by a robot. Once the wire is inserted, each tooth moves directly to the prescribed position. It’s this precise, smooth movement that enables great results, a more comfortable experience than traditional braces and shorter treatment time. Once your treatment plan is determined, SureSmile directs a robot to bend a shape memory alloy archwire according to your doctor’s prescription. This wire is designed to deliver gentle forces needed to move your teeth consistently and directly to their desired finishing position.